Last minute gifts to impress your parents! 1. 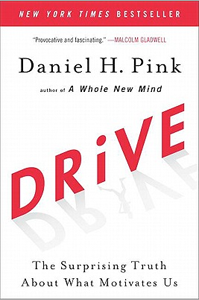 Drive by Daniel Pink. Pay higher wages, get more work, right? Actually, for most of the work we care about today that relationship is absolutely wrong. Learn how we’ve messed up both our employees and our students by tying their pay to their performance. 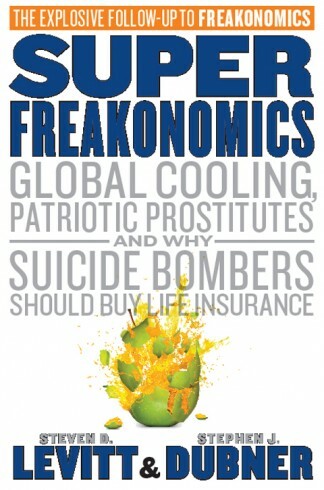 2.Super Freakonomics by Levitt & Dubner. What do realtors, prostitutes, terrorists, and Al Gore have in common? If you thought economics was hideously dull….well, you were right, BUT this book demonstrates how even the “dismal science” can be hilariously entertaining. 3. 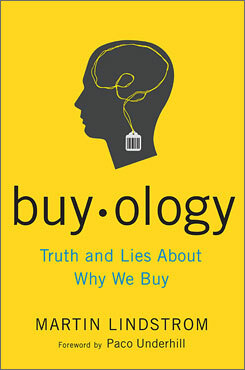 Buyology: Truth and Lies About Why We Buy by Lindstrom and Underhill. Ask people what they want and they’ll tell you, but put them in a brain scanner and ask them and you’ll find out what they really think. See how modern technology is helping marketers learn why we buy (and why we lie about it). 4. 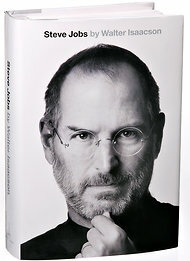 Steve Jobs by Isaacson. This brutally honest look at Steve Jobs and his rise/fall/rise is an amazing examination of the guy that everyone wants to buy from but only the self-abusive want to work for. If you remember back when the Mac 128k was the coolest thing on the planet (or even if you don’t) you’ll enjoy this portrait of the guy who created it. I believe, today, more than ever, our world senses it needs a savior – someone to rescue us from the brokenness of this place – someone to provide peace in the midst of storm – someone on whom we can cast all our fears – someone who holds truth and is deeply connected to the reason for our existence – someone in whom we find real power – someone in whom we can trust – someone in whom we find our purpose for living. Someone who can assure us of salvation. Particularly at this time of year, I hold a deep sense of awe, reverence, and gratitude for the gift born unto us in the town of David; Christ the Lord. He is that someone. He is the reason for the season. He is the one wise men still seek! Merry Christmas to you. He is Christ the Lord! Jenny Dodd graduated from ACU, with honors, with a degree in Communications and a minor in Business. Shortly after she graduated from ACU, she began an MBA program at the University of South Carolina. While a student at ACU she participated in both of COBA’s study abroad programs – the Global Apprentice program in Oxford, a summer in Leipzig, Germany, Leadership Summit in Colorado, and was a student ambassador for COBA. 1) Tell us about your program at USC. What type of masters degree are you working on? Currently I am working on an International MBA at the University of South Carolina, Moore School of Business. It’s a fairly unique program in that we compound a year’s worth of core MBA classes into a 6-month MBA bootcamp, and then have the opportunity to spend our second semester learning a new language as well as the opportunity to learn business abroad. After a summer-long internship in a different country, we return to school for our specialized courses, or we have the option to study abroad for the final year. 2) How did you decide to go to grad school? Well, some kids dream of become a rockstar, others dream of traveling the world on a sailboat. I dreamed of spending countless hours in the library. Well ok, maybe it wasn’t exactly like that, but I have always enjoyed school and have known from a young age that college isn’t enough. I didn’t however, know what I would go on to study until my junior year of college. After an incredible COBA study abroad experience doing a consulting project in Oxford, England, I realized that this was how I wanted to spend the rest of my life. Most MBA programs do not accept recent grads; however, in college I always held several internships and I graduated 6 months earlier so that I could get a little more experience. I was one of the youngest accepted to this program, and decided I was ready. 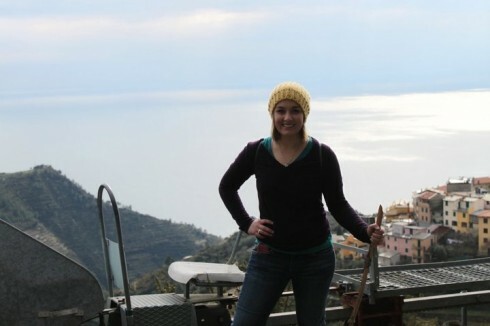 3) Part of your program requires an international internship. Where was your internship and what did you do? In the IMBA program, you are required to have an internship during the summer after your first year. As I began heading into this search I looked both in the USA and abroad. After a search, I found an internship with Michelin Manufacturing at their worldwide headquarters in Clermont-Ferrand, France. I worked in their Purchasing Department in a marketing communications position for a 6-month period. 4) How do you feel ACU best prepared you for graduate school? The international internship? One of the greatest benefits of being at ACU is smaller class sizes than many larger business schools and more importantly, a staff of genuinely caring professors. The faculty at ACU care and respect the potential of their students, and because of that, they invest in students. I had many professors, who took the time to give me projects that catered to my goals, or teach faster in classes where students progressed faster. I not only learned about business, but was nurtured as a future business person on an intellectual and emotional basis. With COBA I did two study abroad experiences where we did a real hands-on project with a company in a different culture. This alone was incredibly formative in preparing me to do an international internship. 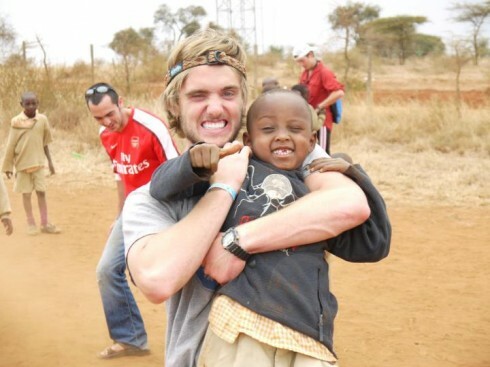 Also, with such a community atmosphere at ACU you get the opportunity to interact with all different types of people. These people skills and flexibility are absolutely essential in any internship, particularly an international one. 5) What do you miss most about ACU? What do you enjoy about your new school? I miss that ACU community that I grew to love. ACU is unlike any place in the world, and I hope it will always remain a place of openness and community. I made friendships with students and professors alike, and there was always a level of support. It is this support that has allowed me to be successful in my graduate school program. My new school is part of the SEC, so that means football football football! The unique thing about my program is that we get to do the big-school thing, but get to be in a small program (80-90 students/year). During our first semester, we have all of our class together.The beautiful campus dates back to the civil war and is set in the heart of the capital city here. 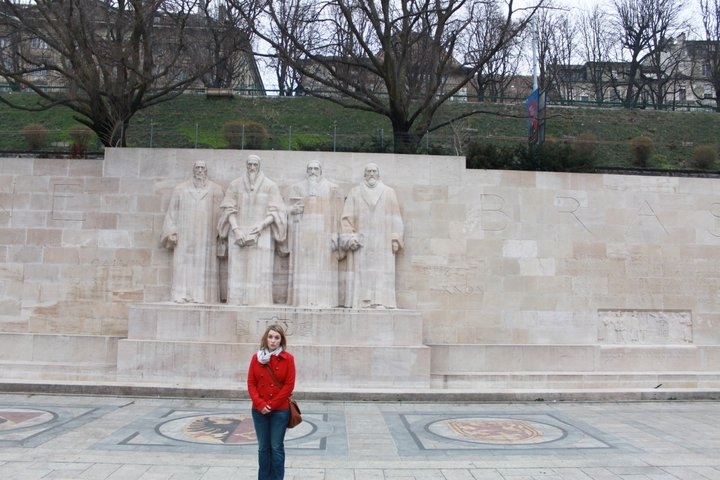 Most of all, I’ve met alumni and students alike, who are located throughout the world! 6) What are your plans after you complete the program in May? I have several offers I am considering for after graduation, but haven’t decided yet. Sometimes It’s hard to imagine because at this moment, I have the world in front of me. It’s an eye-opening experience for a girl from Abilene Texas! 7) What advice do you have for current business students at ACU? One of the most important things you can do for yourself, is set a goal, small or large, and once you have that goal in mind, run with everything you have towards it. Never miss an opportunity to be involved! ACU offers an experiences like none other. You can travel, study, work and play with people like yourself. Build friendships. Love on some people around you, and let them love on you, because when you get into the real world, you’ll find that it’s those people that you took time to invest in, that’ll be your rocks. Most of all, have a spiritual focus. My brother, when he was starting out in the business world, told me that it was his passion, to share love and Jesus while doing business. He now owns his own successful business, has a wonderful family, and has changed some lives along the way. He was my role model, and set a great example for how to be a successful person, not just good at one thing or another. This is your opportunity to choose the type of person you want to be when you grow up. Don’t waste it. Students in Dr. Wright’s Creativity in the Marketplace (Marketing 440) class have been given a unique opportunity: to select a non-profit and use their marketing skills to solve a specific problem facing that non-profit. We had an opportunity to chat with the group leaders from two different groups to find out more about their non-profit and what they are doing to help. Meet Corbin. He’s a senior marketing major from Coppell. 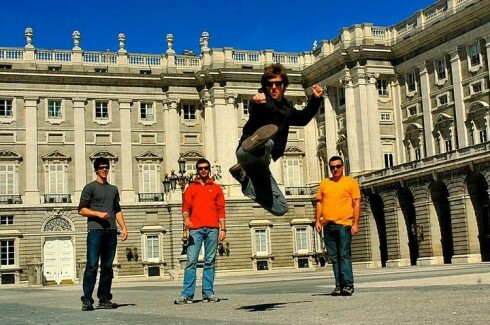 Corbin (he's the one jumping). 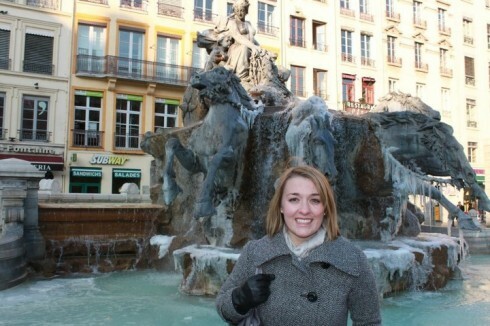 This is in Europe when he went with ACU's Study Abroad for the semester. The project was based on creatively helping a certain non profit overcome an obstacle they were facing. This involved figuring out the need these guys needed met most and doing whatever we thought would help the most. For my group it was helping the World’s Backyard (started by Brayden and Jason Boone), which is a simple organization that ministers to refugee children throughout Abilene. 2) How’d your group select your particular non-profit group? 3) Tell us a little about your non-profit (what they do, how the help others) and how is your group helping them? 4) What are you learning about business through this project? How are your business skills being sharpened and refined? I’m learning that marketing is something that must be tailored to each individual demographic (i.e. : we had to make advertisements in 4 different languages to reach all the families!) and also it is alot more motivating and rewarding to partner with people you care about on a deep personal level – I’m learning how to take that motivation into situations where I might not know the client as well and still be excited about the project and think creatively. This class has prepared me for that by discussing the necessity of creativity in a sometimes boring and straight laced professional world. Next, meet Ashley. She’s a senior finance major from Hallsville. Ashley (far right). 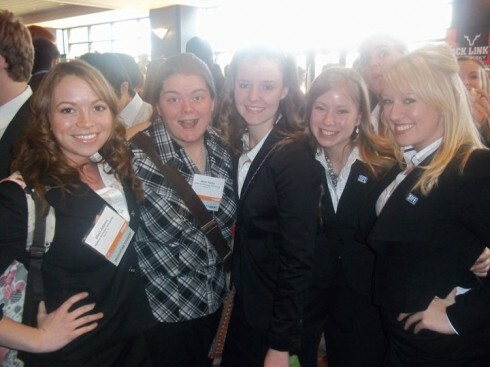 Pictured with COBA's SIFE team. The assignment was to find a non profit and see if they needed help in any aspects of their business that we could solve using marketing. We then had to put that task in motion, or at least get the ball rolling. Ideally, we’d be able to come up with a solution to their marketing related problem, take the steps needed to accomplish it, and see results… All before the semester ended (which was about 5 weeks time). We brainstormed numerous local nonprofits that we could easily get in touch with; then we focused on the actuality of us being able to do a real and effective job for them. We tried reaching out to one organization we thought might fit those criteria, but there was conflict in scheduling an initial meeting with them. This is when GW Shaw mentioned a project his church does every year and we decided to turn it into a marketing venture. 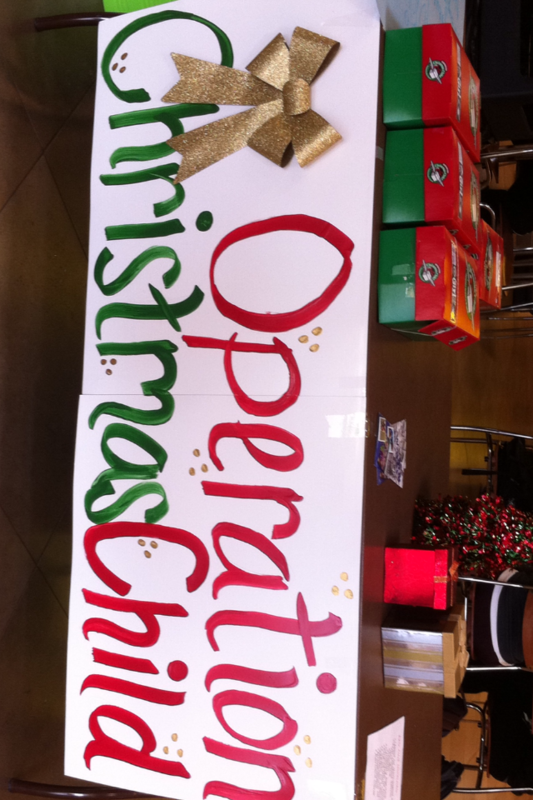 Operation Christmas Child table. The group set up in the Campus Center to promote this non-proft and to ask students to get involve and help out. 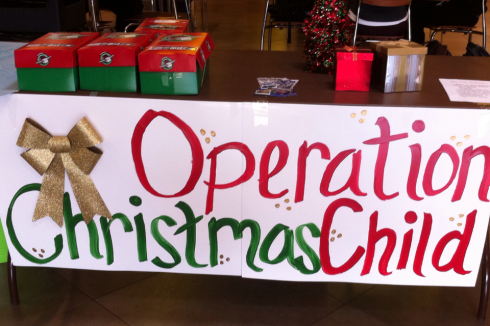 Operation Christmas Child is a national project hosted by Samaritan’s Purse. Their objective is to provide a box of small presents and necessities for underprivileged children in the Philippines. 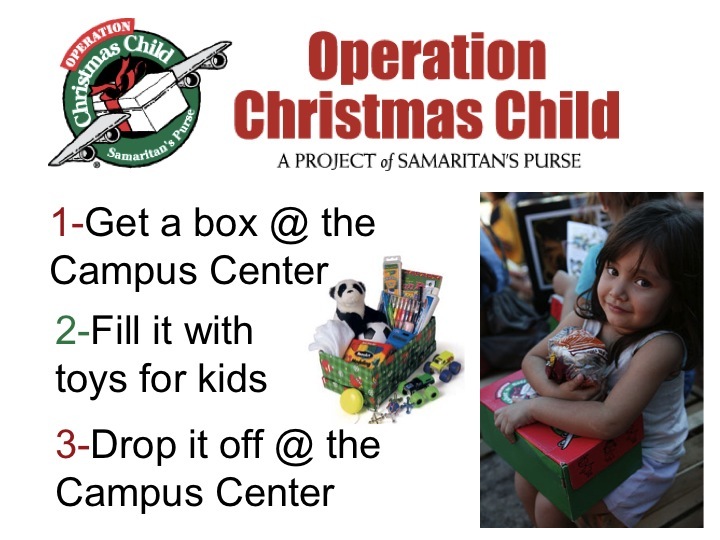 They are able to do this through a mass amount of volunteers (primarily churches) who fill up shoe boxes and drop them off at Samaritan Purse locations. GW was the only one in our group who had even heard about this project, so it was clear that we should bring awareness about it on campus through advertising and allowing students to get involved. What we did: bought 100 foldable boxes from the website at a small cost. We set up an appropriately decorated table in the campus center with the boxes on them, in hopes that people would take them, fill them, and drop them back off at the table. We also put a big sign in the campus center, hung flyers in the dorms, made a my.acu login advertisement, made a slide for the chapel slideshow, and showed a one minute video during chapel on the day we set the table up. We had a time span of two weeks for people to pick up, fill, and drop off the boxes. We had hoped for a return of 10 boxes, but we were pleasantly surprised when after exactly 7 days all of the boxes were gone. When it came time to pick up the boxes, there were a little over 20 full boxes which was double what we were expecting. So this project turned out to be a great success for the short amount of time we had. I used to dread doing group projects; but in most of my upper level classes, group work has been enjoyable. I’ve learned to trust and lean on everyone by delegating the right tasks to the right people. It’s amazing to see how much more you can accomplish through correctly allocating tasks. Surpassing our project goal wasn’t a bad feeling either. We are proud of these student groups who are learning how to use business to serve and grateful for the good work they are doing to help others. We are blessed with a faculty who excel at teaching business skills and who are even more committed to helping our students understand how they can use their knowledge and skills to make a difference in someone’s life.